A forum to improve lower extremity ultrasound knowledge and skill - colleagues coming together to be better sonologists and practitioners. 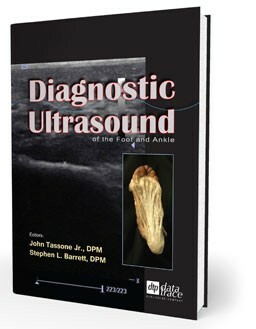 Diagnostic Ultrasound of the Foot and Ankle is a valuable resource that examines the proper ultrasound technique when imaging the lower extremity. 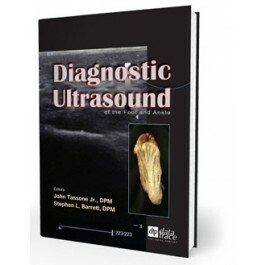 Editors John Tassone Jr. and Stephen L. Barrett, along with a group of ultrasound specialists, delve beyond identifying pathology and provide readers with an analysis correlating how the information gained from a lower extremity ultrasound can be used in surgical planning. Additional images provided by world-class sonographer Brian Kincaid supply further clarification and illustration of ultrasound imaging. The authors would like to acknowledge and thank the Anatomy Department at Midwestern University, Glendale Campus for the use of its gross anatomy laboratory and the prosected specimens which were photographed for inclusion in this book. And a special thanks goes to Michael Bodine for photographing the specimens.